Please note that I wrote this article when I was still quite unwell with hypothyroidism and Hashimoto’s. 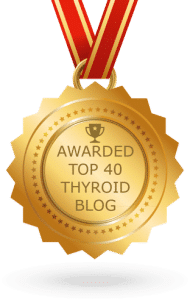 I’m since doing a lot better and my quality of life has improved hugely, but I know many others will still relate to this article as we go through the ups and downs of living with thyroid disease. I talk about how I learnt to accept my life with the thyroid disease diagnosis and how I improved my health, towards the end of the article. Some may think this article ‘wallows’, ‘moans’ or focuses on the negatives, but I was in a dark place mentally, depressed and at points, suicidal. It is important to recognise all feelings and states. Everyone’s journey is different yet valid. It is a reflection of where I was at the time of writing. Before twenty, the age at which I started experiencing thyroid symptoms that really interfered with my life and became a problem, I was an incredibly busy, active and driven person. I had completed 5k’s, had a constantly full diary of social activities and events and prided myself on a spotless home. I would walk two miles to work and two miles back home, before tidying the house and starting dinner every evening. After dinner, I’d go to my dance class, go for a run with my boyfriend or catch up on orders and product making for our small business, which was run entirely in the evenings. I was very busy and able to maintain a full-time job, our own small business, a tidy home, regular exercise sessions and a busy social life. I felt happy and fulfilled. I was a regular twenty year old. I rarely felt tired and I bounced out of bed in the morning. I was the friend that organised everything and enjoyed doing so. I was always organising outings, parties and trips. I was like a Duracell bunny! My future looked bright as I imagined buying a house with my other half one day and starting a family, and I was at the beginning of my career. I imagined being a high-flying mother who did well in her career but was also hands-on with her children and was great at keeping an organised home; dinner on the table at five and having them washed and in bed for seven, before putting my feet up for the evening. I imagined that I would feel satisfied with life and had accomplished a lot, being good at what I did and as efficient as I was at twenty. 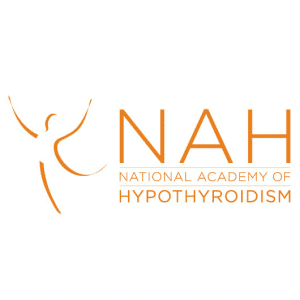 I started experiencing my first symptoms of hypothyroidism and Hashimoto’s at sixteen, but by twenty years old they had increased in frequency and severity a lot. Random leg cramps and spasms, migraines, adult acne and a constant feeling of never waking up feeling refreshed, even after a lot of sleep, were just a few that were adding to a very long list. 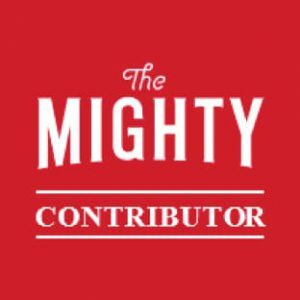 After six months of consciously being aware that I was always tired and only feeling worse as time went by, I started to research and even Googled my symptoms, discovering I likely had an underactive thyroid (hypothyroidism), despite doctors telling me that nothing was wrong with me for years when I complained of all these random symptoms I was having. I was eventually diagnosed with hypothyroidism, Hashimoto’s and Chronic Fatigue Syndrome a few months later, and, whilst I finally had an answer for how unwell I felt, my life was also about to change drastically. 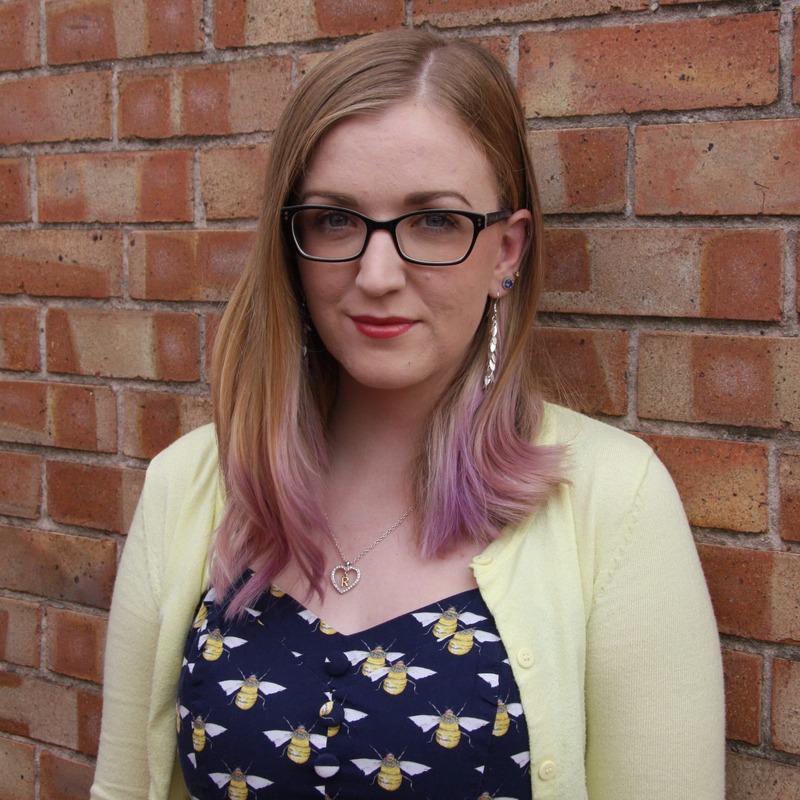 Also being told I had adrenal fatigue and that all of these conditions were the cause for my depression and anxiety disorder, I soon realised that I could no longer be the friend who made all the effort maintaining relationships and bearing all the responsibility for meet-ups and events. It wore me down and I didn’t have the energy anymore. This was kind of a blessing in disguise, though. I needed the nudge to get me to look after myself and guard my energy usage better. It also dawned on me that I may struggle to conceive and carry children to full-term, one day, and that I may need a lot of extra help in raising them, due to my newly diagnosed chronic illnesses. I wouldn’t be as efficient as I once believed and caring for someone else suddenly seemed really scary when I was now needing a lot of help, myself. 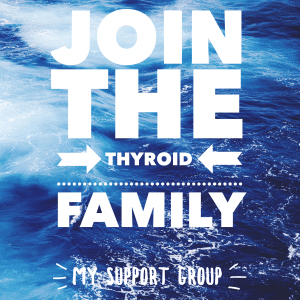 Talking to others in the thyroid community, it because apparent that many mothers with thyroid disease struggle a lot. I had to accept that I couldn’t be as active as I once was – walking ten miles a week, playing badminton twice a week, running once a week and dance once a week, was not a good idea. It was making my health worse and causing flare ups. I had to accept that my house wasn’t always going to be as clean and tidy as it used to be because I had to learn to prioritise my energy (‘spoons‘) and I quite frankly didn’t have the energy any more to spend time everyday cleaning the way I used to. I learned that my body wasn’t as strong and capable as it once was and that some days I would be forgetful, achey and fatigued beyond words, also catching illnesses easier and taking longer to recover from them, compared to other people my age. I started missing a lot of time at work. I began living in a world of brain fog and low energy. 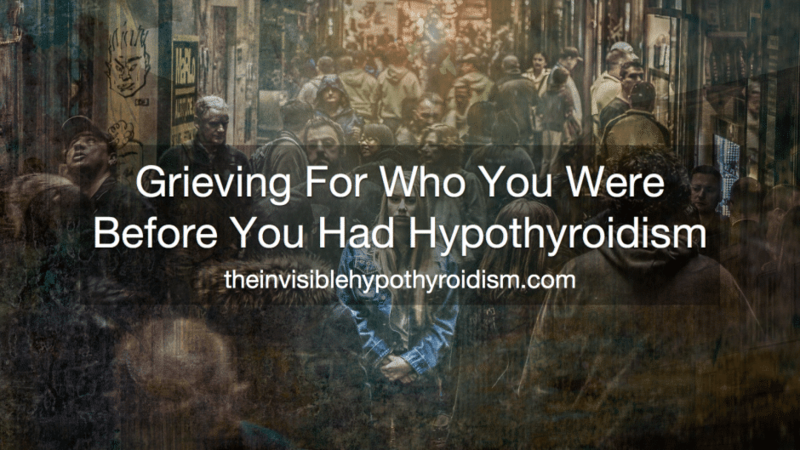 I had to learn to mourn the person I was before I developed hypothyroidism, as well as the life I imagined I would have. Everything was going to be different now. I had to accept flare up days, ups and downs and a new way of looking at my energy levels. It is perfectly normal to grieve for a life you used to have – a lifelong diagnosis can after all be life changing. And there is no set time for how long each person takes to grieve. Some may never feel the grieving phase, whilst others may pass it quickly or linger in it for some time. Moving through the grieving was important for me. I didn’t want to stay focusing on the negatives but instead wanted to feel acceptance and learn to thrive in life again. Part of that has been learning to appreciate the small things. I’ll always enjoy being in tidy surroundings but I’m able to leave a pot to be washed tomorrow and the laundry can be ironed another day, instead of freaking out over it and always being on the move, cleaning and tidying. I’m forced to rest more, which gives me more time to enjoy spending quality time with with my now husband, reading books or writing. It’s put a lot of things in to perspective and made me realise what is and isn’t important in life. I’ve learnt that I’m not Superwoman and I can prioritise things better these days. My life is different and always will be since being diagnosed with a thyroid problem, but I have learnt to embrace this and think about what it has taught me, and how much of a better person I am because of it, over what I’ve ‘lost‘. I have grieved for the person I once was and the life I once had, but it was never destined to be that way, and now, I have to strive to do the best with what I’ve got. And that’s what I’ve done. I have learnt to be my own health advocate. These days, my day to day life is rarely dictated by my thyroid condition. 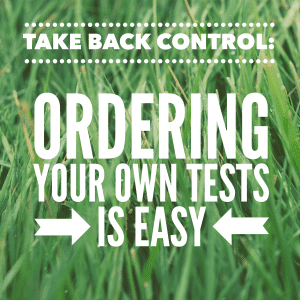 Through advocating for my own health, which has involved trying different thyroid medications, ensuring I get full thyroid panel testing, trying certain supplements to support my health, relearning which exercise helps instead of hinders me, implementing better nutrition and more – I no longer have to grieve because I am no longer feeling as if I am missing out on anything. I am living life fully and you can too. 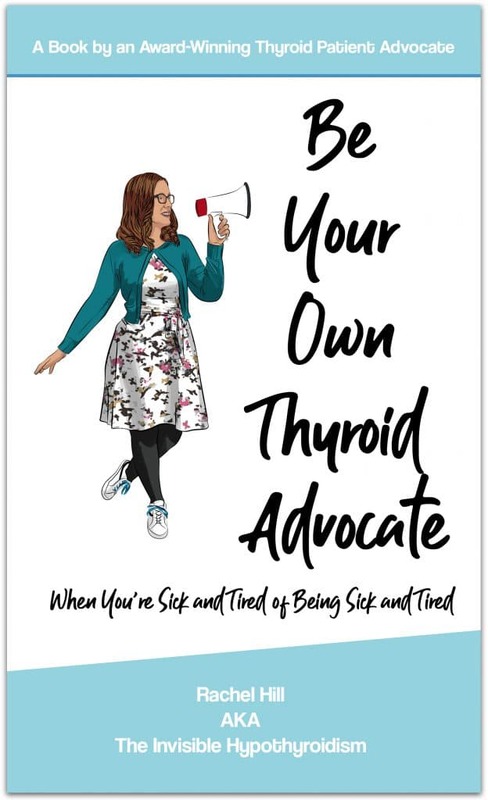 If you’re a thyroid patient living with poor mental health or lingering physical symptoms, that you don’t have to live this way. 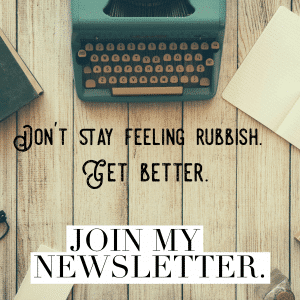 To address why you may still be feeling unwell (often despite being on thyroid medication too), please see this article and go through each suggestion, putting your thyroid jigsaw back together. 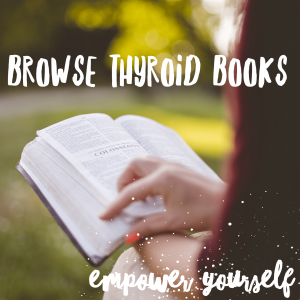 You can also read about how I got my life and health back on track in my book: Be Your Own Thyroid Advocate. You can click on the hyperlinks in the above post to learn more and see references to information give. Ah thank you, Caz. I’m pleased you understand why writing about this side can be so important. Recovery is never linear. It’s up and down and round and round. Being mindful includes acknowledging ALL emotions.